The Newest Rant: Film Friday Double-Feature: "A Million Ways to Die in the West" and "The Purge: Anarchy"
Film Friday Double-Feature: "A Million Ways to Die in the West" and "The Purge: Anarchy"
"A Million Ways to Die in the West," talks about death, and how it basically lurked around every corner back in the times of the Wild West that we often romanticize but forget were actually quite terrible and full of illness, violence, and general unpleasantness. 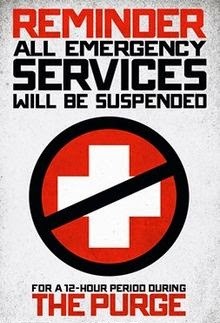 "The Purge: Anarchy" is about death being a constant risk too, but in a near-future where in order to help people get-out their violent urges a night of extreme violence is authorized by the government where for twelve hours once a year basically all crime--including murder--is legal. Although, in the case of "Anarchy," there is occasionally political commentary about how the supposed goal of The Purge to cleanse people is in fact an excuse for government-sanctioned murder of the poor. Basically, one movie is about how in the past we were ignorant jerks who died from disease and our own violent tendencies towards each other, and the other movie is about how we as a society could very well let our own ignorance allow us to be violent towards each other in the near-future. It's just that in one nature plays a big role in killing people and in the other its an effort to reduce a population no longer affected by disease as much. The big question of course is if they are good movies, and I would say yeah, they're above-average if not amazing. Let's discuss them both now! Seth MacFarlane is of course best known for his role as the director/main voice actor for the popular television program, "Family Guy." While I haven't watched that show in awhile as I felt it has gone a bit downhill as its gotten more bitter, I did quite enjoy MacFarlane's directorial debut, "Ted." 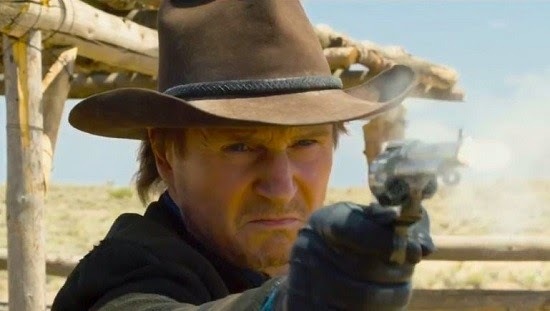 Hence, I went into "A Million Ways to Die in the West" with some hope he could again pull off that mixture of warmth and crass humor he somehow delicately balanced in "Ted". Well, perhaps I should have had some trepidation as "West" seems to be a bit more in the realm of "Family Guy" and its angry cynicism than the hopefulness of his first film. That isn't to say "West" is bad, it has many enjoyable moments--it just seems to be a bit more angry than it needs to be, like how I've said "Family Guy" seems to have gotten more mean-just-to-be-mean over time. Basically MacFarlane plays a nerdy guy who is kind of a loner except for his girlfriend who towards the start of the movie leaves him for a jerk obsessed with his fancy mustache--played deliciously by Neil Patrick Harris. However, MacFarlane meets a nice women in the form of Charlize Theron's character, but what he doesn't know is that she's actually the wife of an evil bandit played by Liam Nesson (who used to play sweet roles like the dad in "Love Actually" but since "Taken" seems to portray a lot of rough fellows). 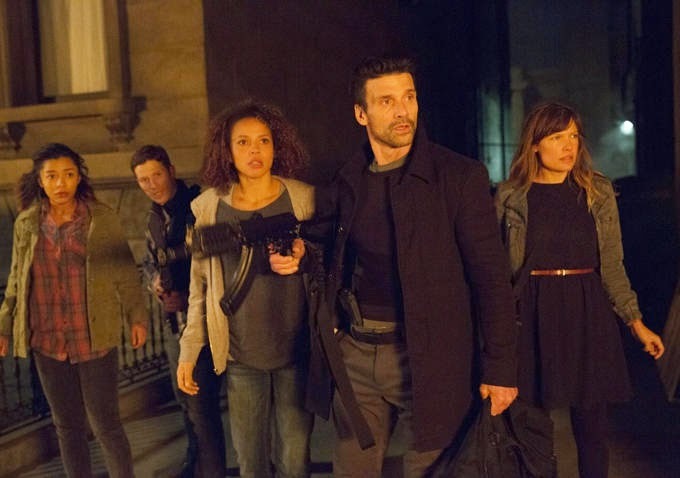 "The Purge" was quite small in scale, focusing almost entirely on a single household and how it deals with the ramifications of the yearly Purge. 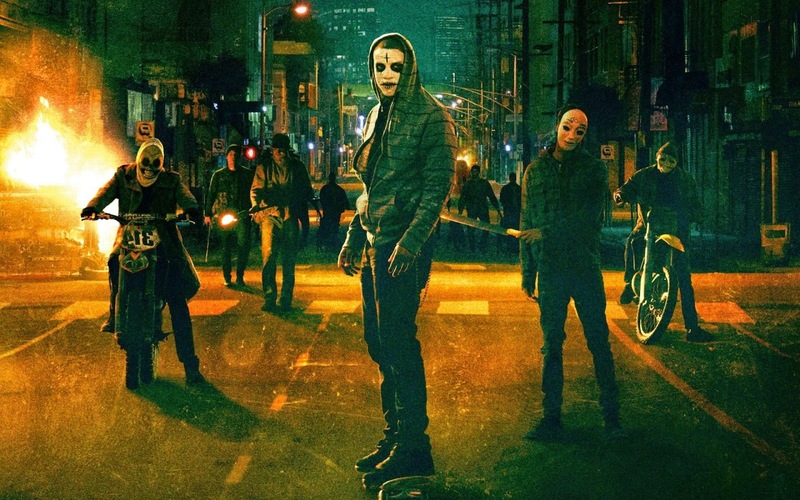 "The Purge: Anarchy" could therefore be considered much more expansive, focusing on a variety of individuals who are stuck out on the streets during the Purge (or one protagonist out there willingly) and how they struggle to survive the night between various roaming gangs, government kill-squads, and the general mayhem. While I liked the first "Purge", certain aspects of it bothered me that I found less of an issue with in this entry of the series. The problem with the first "The Purge" movie was that it wasn't quite sure if it wanted to be a piece of social commentary or a horror film about a home invasion. "The Purge: Anarchy" moves away from the horror-angle into more of a straight-up action film with dashes of the social commentary. It works these message into the movie in a style a bit more elegantly than the first one with its occasionally ham-fisted, "Hey, we're making a statement here!" style. By making some pointed observations about society and how we treat our poor but not overly-harping on it except in a few cases (the closing monologue by a man known as, "Big Daddy," is a bit over-the-top with its pointing out what we had already picked-up on throughout the flick) this film is able to show us it isn't too unrealistic a step to think that there are people out there who could think systematically wiping-out the poor and sick is a smart choice. That is probably what makes the concept of these "Purge" movies so terrifying, is that it all seems just ever-so-slightly possible that people would be in favor of a such a thing as the yearly Purge. 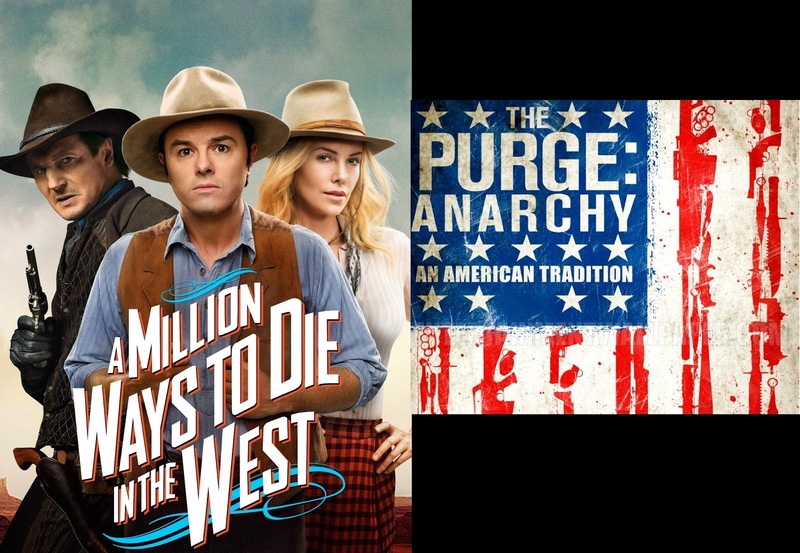 "A Million Ways to Die in the West," and "The Purge: Anarchy" both tackle the subject of how we treat our fellow human, albeit in greatly different tones. Both show that even in a miserable world there can be good out there, but to be careful whom you trust because you could very well end up dead. Each movie also isn't necessarily great, but still quite good and a pleasant enough way eke out some entertainment. So yes, check them out should you need to fill a couple hours.